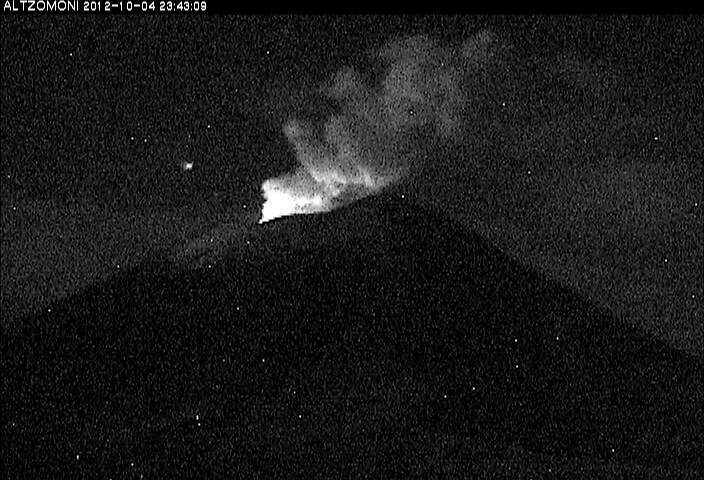 During the last 24 h (4-5 Oct), the monitoring system of the Popocatepetl volcano registered 32 low-intensity exhalations accompanied by emissions of steam and gas and with slight amounts of ash.  Yesterday at 11:24 h, 14:27 h, 15:28 h and 17:57 h local time, there were explosions with ash plumes that reached a height of 1 km above the crater and drifted NW and SW.
During the night glow was observed above the crater of the volcano. In the early hours of today (03:49 h) there was an explosive emission of steam and ash that reached a height of about 2 km above the crater. At 08:03 this morning (local time) another explosionproduced as small ash plume drifting SW. So far there have been no reports of ash fall in nearby areas around the volcano.